NO. 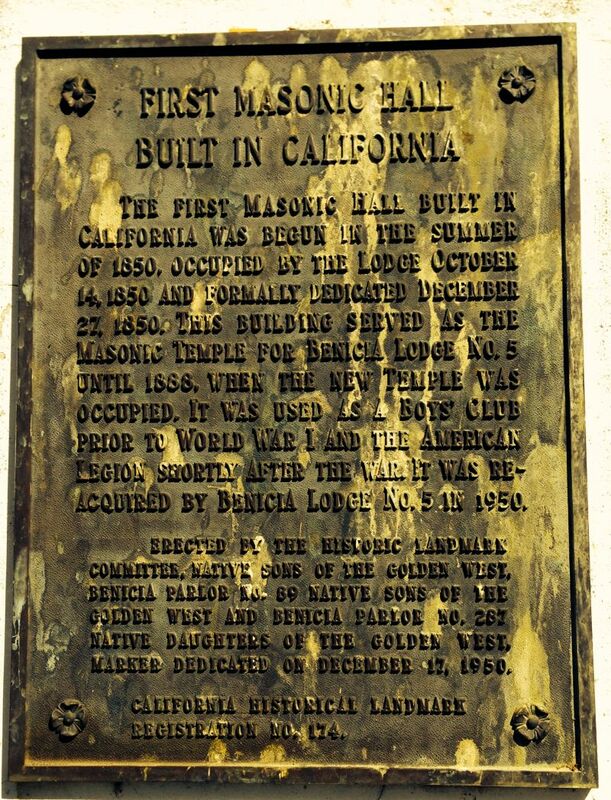 174 FIRST BUILDING ERECTED IN CALIFORNIA BY MASONIC LODGE FOR USE AS A HALL - The first Masonic hall built in California was begun in the summer of 1850, occupied by the lodge October 14, 1850, and formally dedicated December 27, 1850. 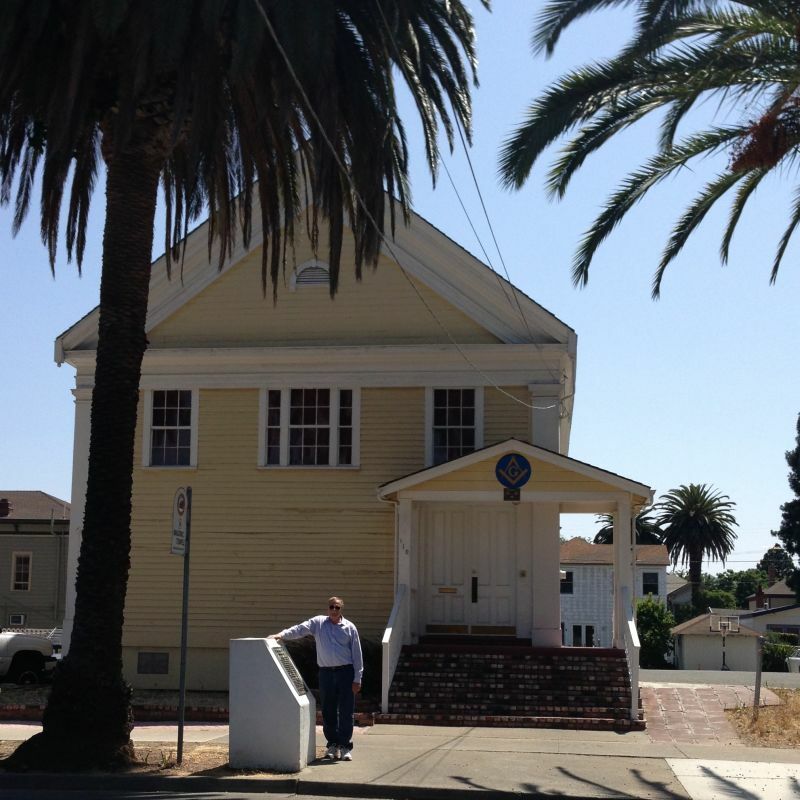 This building served as the Masonic Temple for Benicia Lodge No. 5 until 1888, when the new temple was occupied. Used by a boys' club prior to World War I and by the American Legion shortly after the war, it was reacquired by Benicia Lodge No. 5 in 1950.